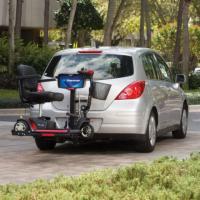 The AL 160 Profile Scooter Lift offers a sleek and open design that can accommodate almost any 3 or 4-wheel scooter. Incredibly, the lift itself weighs just 74 pounds yet can easily secure and lift scooters up that weight up to 350 pounds. 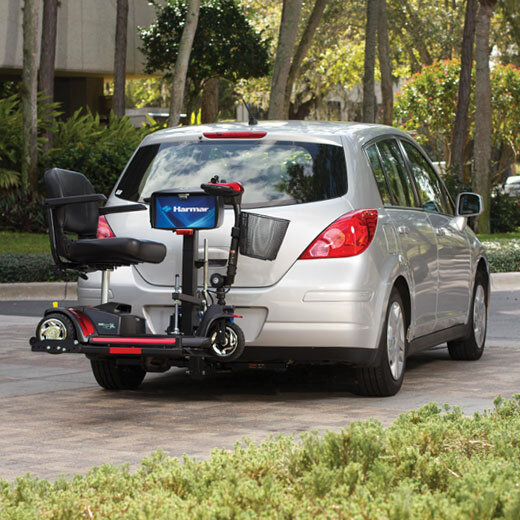 The AL160 provides an automatic hold-down foot, rear-wheel cradle securement, and easy installation. 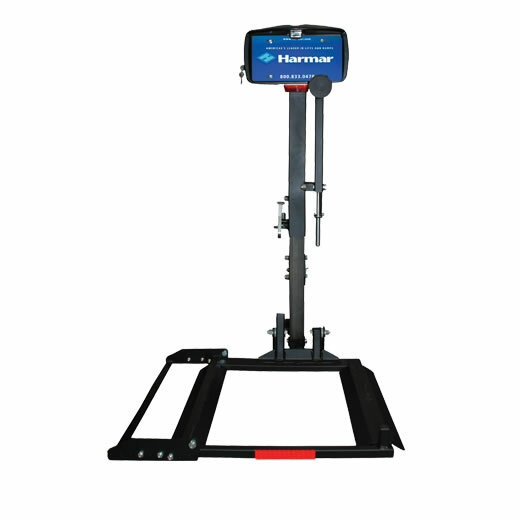 It can preserve the functionality of a "back-up" camera in some applications; and, also does not require a plate riser - saving you more money. 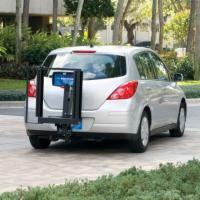 Call today to learn more about this fully powered and affordable external vehicle lift!